A dessert pear whose medium/large fruits boast soft, buttery flesh. Excellent flavour. Harvest early autumn. (SF - self-fertile). 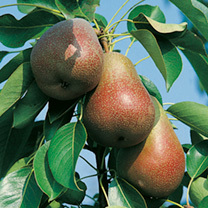 For growing and planting advice read our leaflet The_Fruit_Garden.